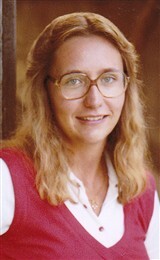 BEARDSTOWN, IL, December 5, 2012, Janet S. Haywood, General Office Assistant for Cargill Meat Solutions, has been recognized by Elite American Executives for dedication, achievements, and leadership in administrative services and office management. Ms. Haywood shines in her role as a general office assistant for Cargill Meat Solutions, an international producer and marketer of food, agricultural, financial and industrial products and services. In her capacity, Ms. Haywood manages administrative duties, and her responsibilities include the supervision of shipping activities and other organizational endeavors. She prepares documents for exports, and handles billing initiatives and logistics. She also oversees sales and customer service. With more than 22 years of professional experience, Ms. Haywood strives for excellence in her every pursuit, and she attributes her success to her positive attitude and passion for her line of work. Ms. Haywood received a Bachelor of Science in Accounting from Monmouth College, and she looks forward to earning additional accounting accreditations in the near future. She has built on an expansive skill set in the areas of billing and bookkeeping throughout a career that has spanned over two decades, and she plans to continue to develop her talents as an office manager, bookkeeper and supervisor. Her strengths lie in project management, and she is capable of facilitating a myriad of principal administrative and managerial activities. In addition to the duties that she undertakes with Cargill Meat Solutions, Ms. Haywood remains abreast of industry trends and developments and supports a number of worthy causes. She enjoys networking with her peers and helping others. She volunteers with The Humane Society of the United States and the Society for the Prevention of Cruelty to Animals. In her spare time, Ms. Haywood takes pleasure in walking, biking, gardening, and listening to music. She also enjoys spending time with her family. 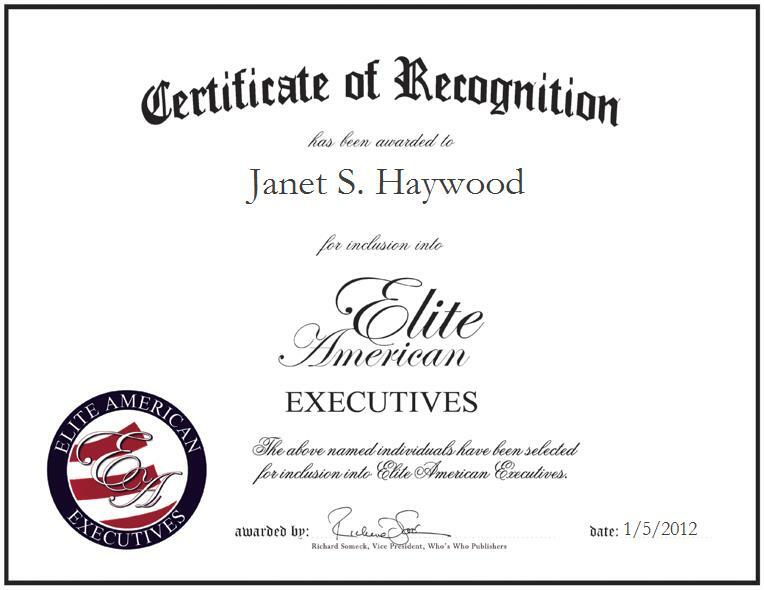 Janet Haywood was originally selected for inclusion in EliteAMERICAN Executives in January 2012. We are proud to be featuring Ms. Haywood again in EliteAMERICAN Executives for 2013/2014.